For those unfamiliar with St. Thomas, hearing the name “Cowpet” often prompts heads to tilt, followed by, “huh?” Cowpet. It’s hardly mellifluous. And cows are not the creatures you connote with Caribbean beaches. 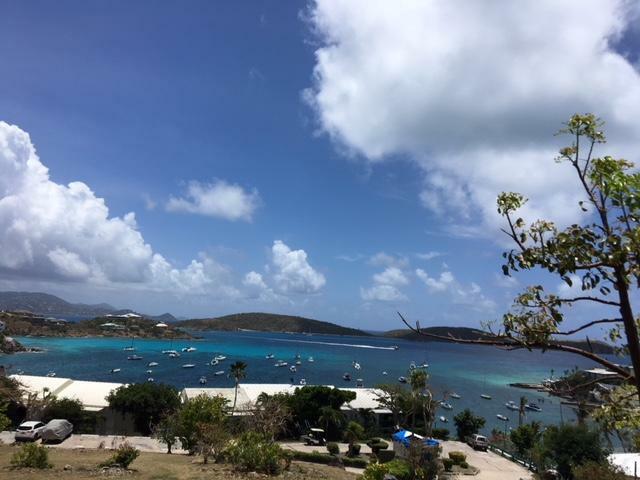 Nevertheless, Cowpet Bay, whose name derives from the island’s Danish heritage, is regarded as one of the most desirable locations on St. Thomas, located in Estate Nazareth on the coveted East End. Cowpet Bay West is a community of 102 condominiums sitting waterfront on Cowpet Bay. The condos range in size from 2/2 to 3/3 to 4/4. Some of the three and four bedroom units are two-story. Each bedroom has its own bathroom, and at least one bedroom in each unit is large. Plenty of closet and storage space too, for a condo. The complex was built some 40+ years ago, but has stood the test of time thanks to solid concrete construction. Whether you’re a fixer-upper, or someone seeking a modern renovated unit, you’ll find what you want at Cowpet Bay West. Some units remain perfectly enjoyable while still in close to original condition. Other units have been renovated, and some in such a way that the floor plan has been completely redone, achieving a truly modern look and feel. Prices for condos at Cowpet Bay West range from two bedroom units priced in the 3’s to four bedroom units priced in a range that could begin with a “5” and perhaps go as high as “9” depending on the upgrades. Cowpet Bay West is situated on a long white sand beach. There’s a large, flat grassy area leading up to the shoreline where residents are seen playing croquet from time to time, or playing ball with their children. 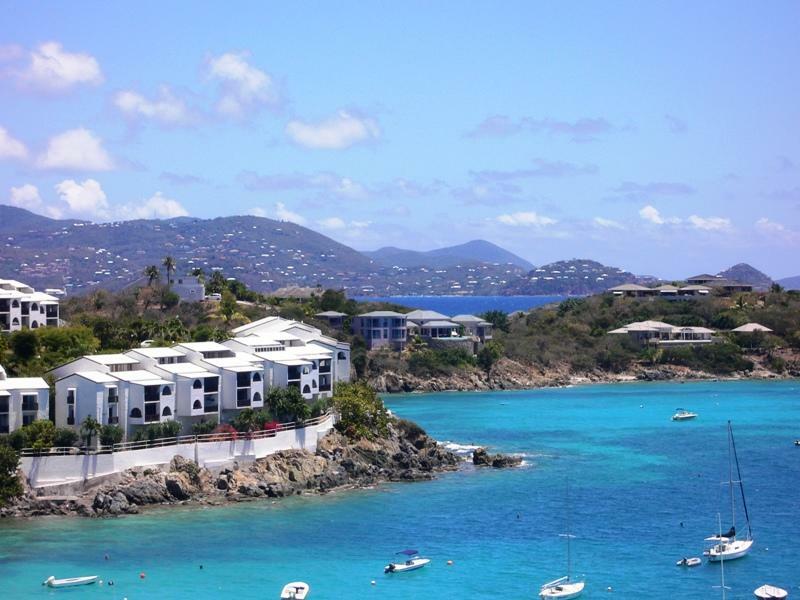 That grassy patch is a rare thing on a hilly sandy island, so it’s just one more amenity that favors this community as a destination for condo buyers.